This is my Pandora bracelet so far. I recieved it for my birthday in 2010. I currently have 16 charms on it and adore it as most of the charms tell a story and bring back memories. I tend to wear it on a daily basis. The first glass charm in this picture I bought myself when I was on a road trip in Northern Ireland. 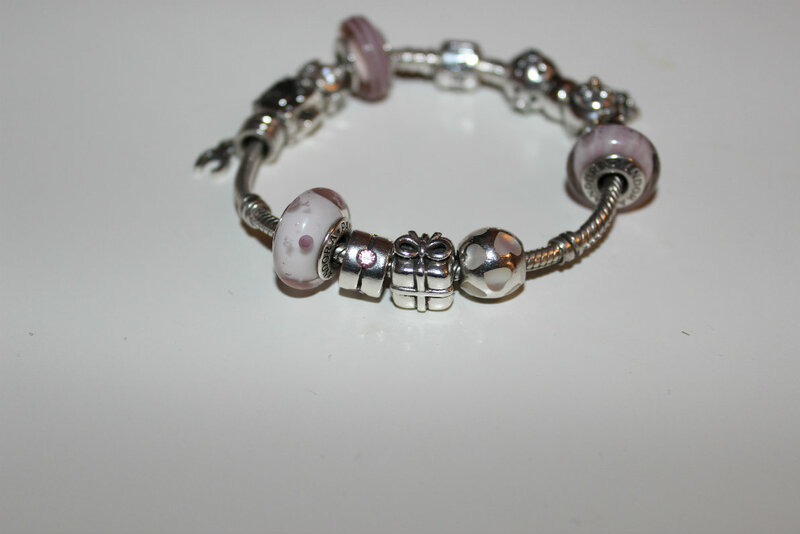 This was one of the first charms on my Pandora and it started the colour theme for my bracelet. My mum bought me the next diamond charm as a Christmas present. I received the suitcase charm as a present when I was going on holidays to Portugal in 2011. I also received the horse shoe charm for my birthday as I had 2 horses when I was younger and I adore horse riding. Next up is another glass charm I honestly can not remember where I got this one from so I assume I bought it myself. My mum once again bought me the next charm. She has me spoilt! My brother bought me the present charm for my birthday in 2011. I received the mother of pearl charm as a birthday gift from a friend. This is one of my favourite charms. I received the snowflake charm as a Christmas gift from a friend in 2011. My parents bought my the graduation charm when I graduated college last summer. My aunty bought my the cupcake charm last summer when we took park in a baking competition. My mum bought me the next charm for my birthday last year. And finally I bought the last charm myself with them 1st charm when I was on a shopping trip in Northern Ireland. I haven't bought any charms in a while as Pandora have recently increased their prices a little to much for my liking. But I do have my eye on the rose charm and the apple charm but I rather receive them as gift as then you tend to remember them. Do you have a Pandora or charm bracelet? 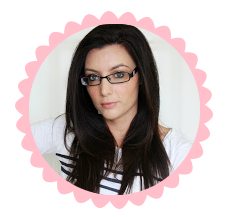 Do your's hold any nice stories/sentiments? :) Let me know in the comments. Or if you have a similar post or would like to make one let me know as I would love to read it. love it! i also have the suitcase! I love your little suitcase charm! I have a Pandora bracelet that I got last year from my parents when they went to the States, and every charm I have on there is full of sentiment and fit my personality. 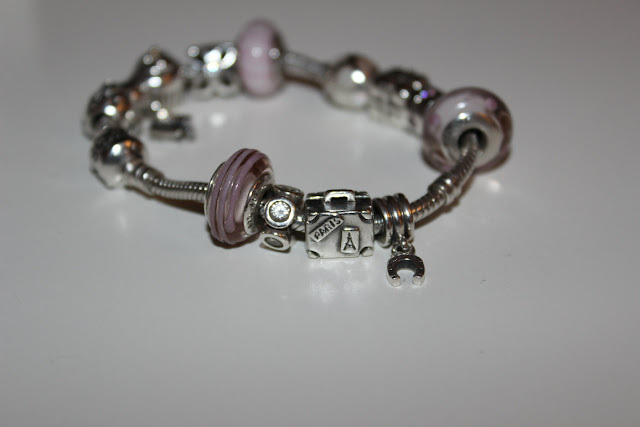 I love the Pandora bracelet because the charms each show who I am, and have significance to who gave them to me. I have seven or eight charms at the moment, and have my eyes on about ten more but you're right about them being expensive! I love your bracelet, its so cute and such a great way to keep memories.